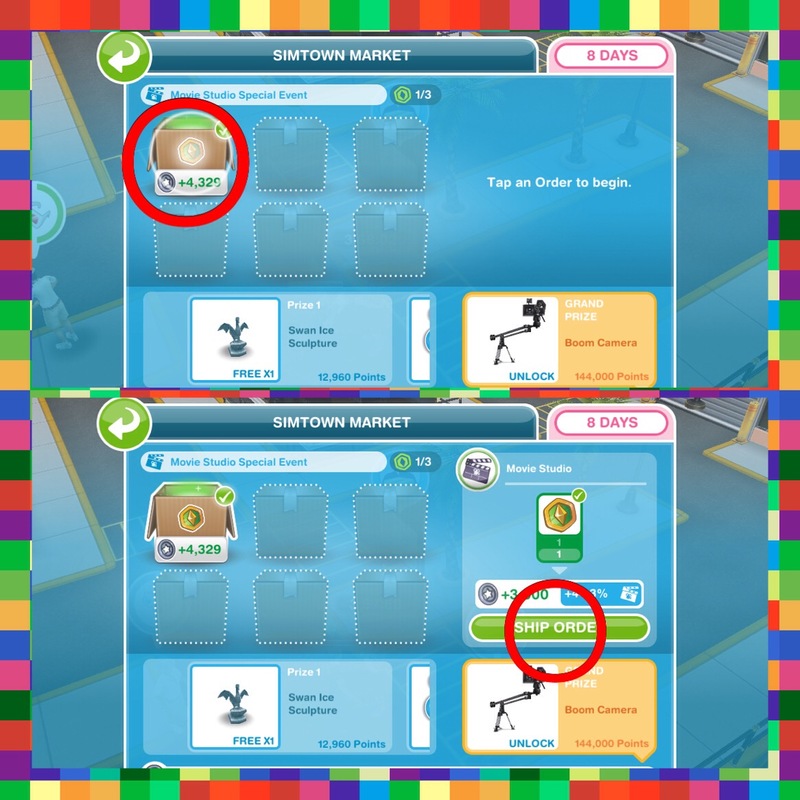 The simtown market has been added to the October 2016 update of the sims freeplay. 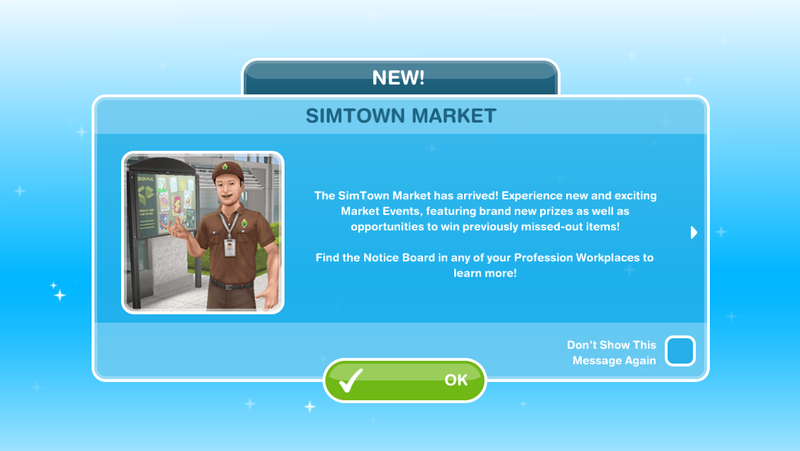 If you have finished upgrading all the workstations at a profession workplace and have been wondering if there is any point in sending your sims to work to collect resources or if you have reached your limit on the resources you can store, and find it a waste just to sell them- then this update is for you! 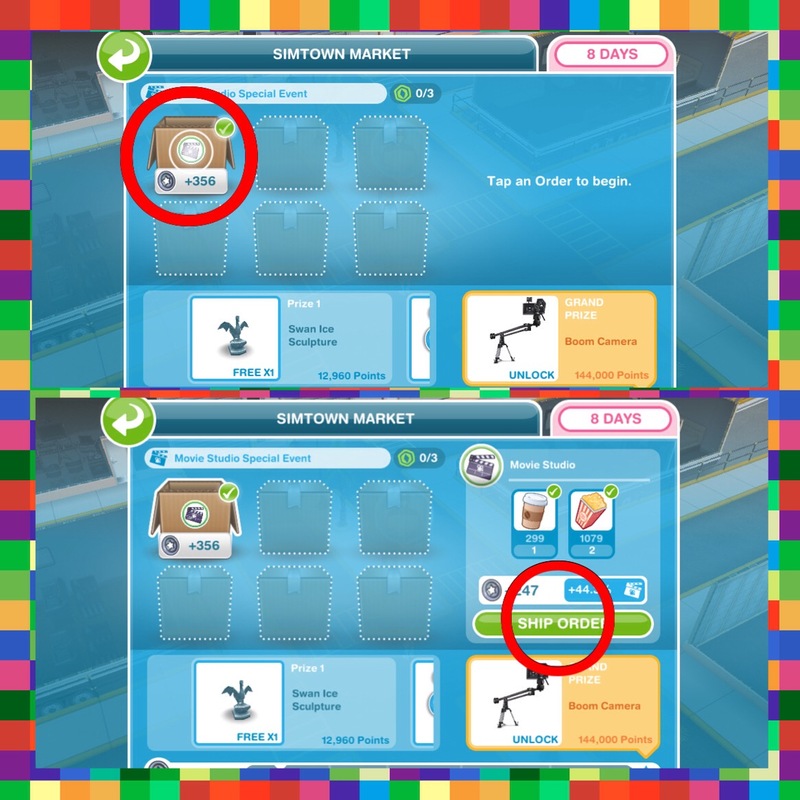 The simtown market allows you to use these spare resources to earn prizes! 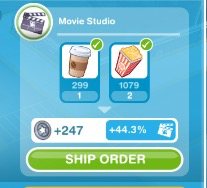 You earn market points by shipping market orders (these orders are made from resources, for example, you may be asked to ship 1 coffee and 2 popcorns) The more orders you ship, the more market points you earn, meaning the more prizes you will unlock! 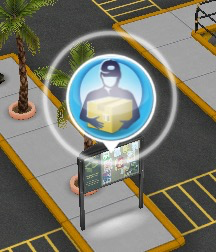 Couriers appear at the workplace and they need to be helped by a sim who works in that profession. 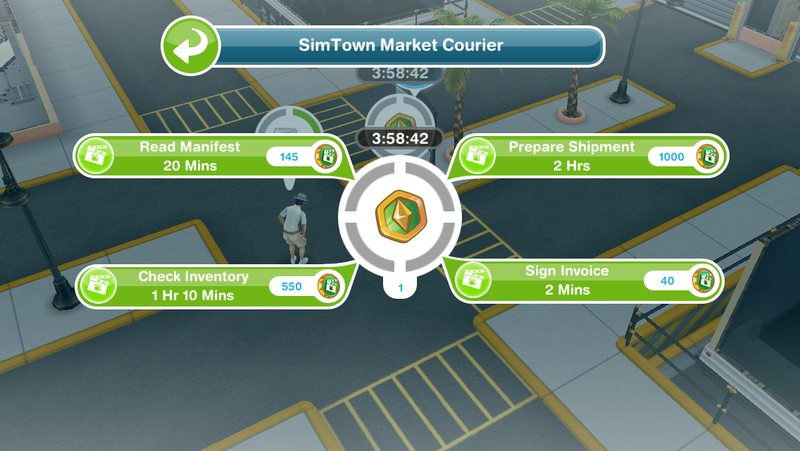 Like helping a normal sim in this profession, when you complete all the tasks and help the courier you earn market tokens but there is a time limit in which you will need to help them in otherwise they will leave and you won’t receive the tokens. 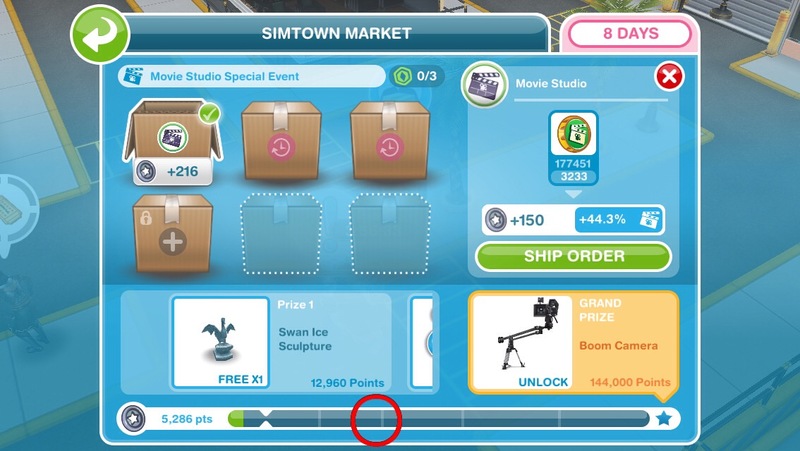 Shipping tokens earns you a lot more points than shipping normal resources but you can only store 3 so you have to use them to collect more! 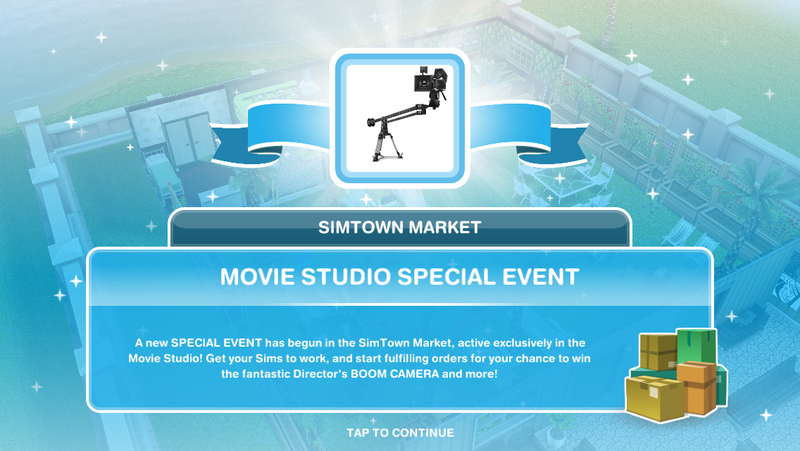 Simtown Market Tutorial– completing the tutorial unlocks access to regular special events, allowing you to earn prizes you previously missed out on or completely new prizes! NOTE: you cannot start the tutorial until there is an event available- check in your goal tab to see if an event has started or is coming soon! All you need to do is ship market orders and earn market points to fill up the bar in the time limit. Each time you reach a line on the bar you will receive a prize! The green is your current progress towards the prizes. Most of the prizes are different for everyone as it depends what you have already unlocked but the grand prize is a new item so that is probably the same for everyone! If you have completed all the current orders you will need to wait 30 minutes for new ones to appear or skip waiting for 10SPs- you can also unlock new slots for SPs! Currently I am still upgrading my workstations so I probably won’t be using this too much unless I cannot collect new items without selling my resources but I think it is a great idea! If I’m on the last task helping a courier will he stay if the time runs out? He doesn’t seem to stay anymore, annoyingly! 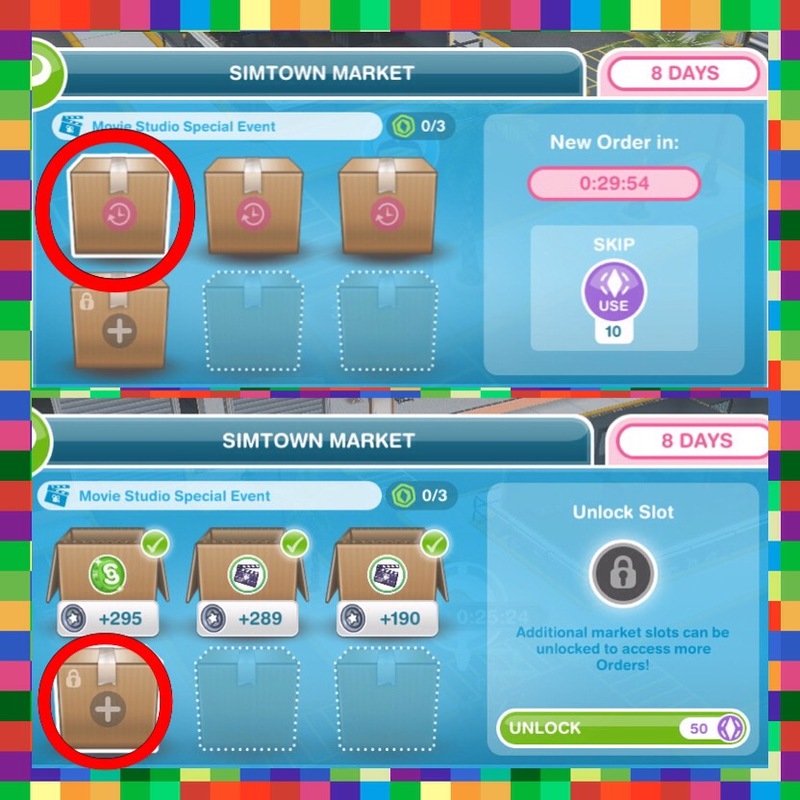 If you unlock an extra slot costing social points in the market event does it stay unlocked for future events? 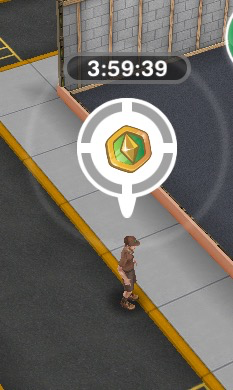 Can I save courier tokens for the next event? In a day how many time the courier guy show up? I completed the event for the dragon. I cant find it. Where would it be located. The dragon can be found in the pet store. My sim is doing the 2 hour action but she finishes work in 1:45 hours. Will the action be cancelled? I’m not sure sorry, I don’t tend to do the tasks if I don’t have enough time, I would suggest you don’t go on the game until 2 hours has passed and hopefully it will complete! 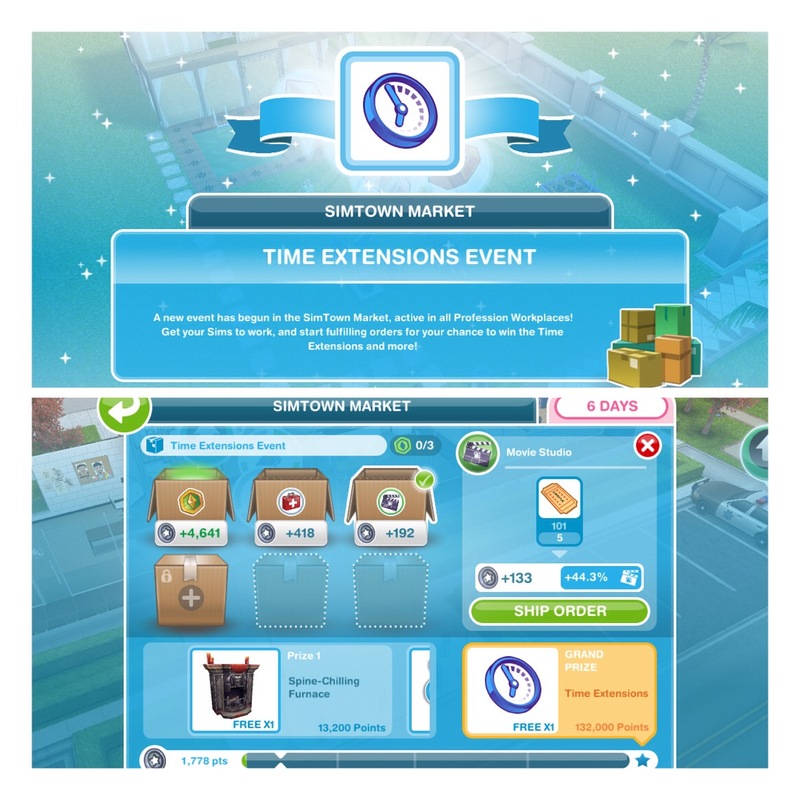 I’m doing a timed event right now and I keep getting market orders that are just if I watch an ad I get points, except whenever I click on them when they pop up, they say that they’ve expired (even if they had just poped up) but they won’t go away! So I have to dismiss the order and wait like 2 hours to get a new one! Has anyone else had this problem or knows how to fix it?